Many homes on this block were damaged in the recent storm. We started staging our equipment outside each home to speed up the work. As soon as the demolition was done we could start moving in with drying equipment. Our crew is getting ready to tackle flood damage to high rise buildings in Charlotte, NC. The recent storms had caused flooding in multiple buildings that is going to need scaffolding and bucket cranes to get the job done. My insurance agent mentioned a flood cut and I didn't understand what they meant. The flood cut is when we cut out part of the drywall where there was damage after flooding. It assures that all category three water is out of your home. When there is a large storm with many damaged homes, you can count on seeing a lot of green trucks roaming the streets. Our national presence allows us to call in other local SERVPRO locations to help when the storms create widespread damage. The warm water in this home is from a spring storm. 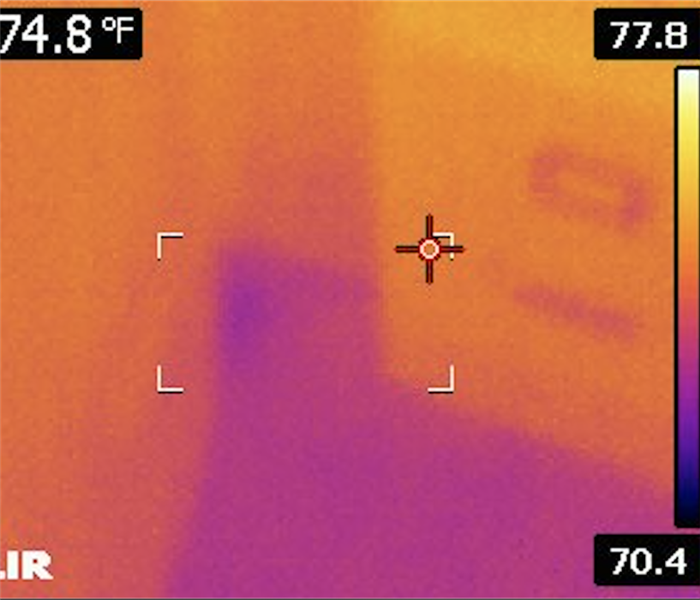 We use thermal cameras to find any hidden water to assure your home is cleaned right the first time. 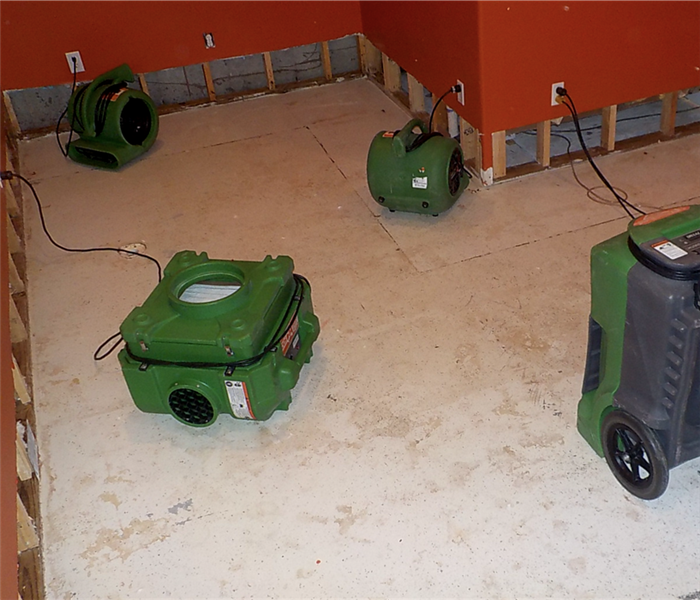 SERVPRO of West Mecklenburg County is the best choice for flood cleanup. 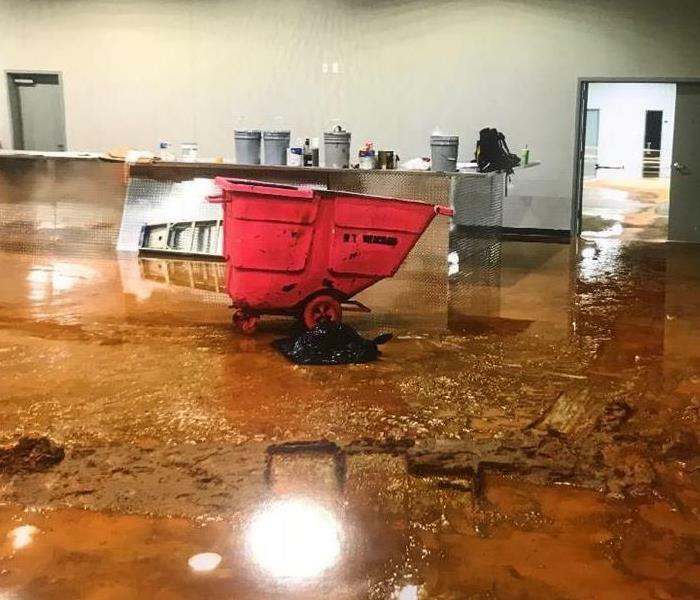 When your building is flooded you need a professional company that can respond quickly and provide cleanup services with the right equipment. SERVPRO is local to your facility or business. Call us and we will take care of your facility. 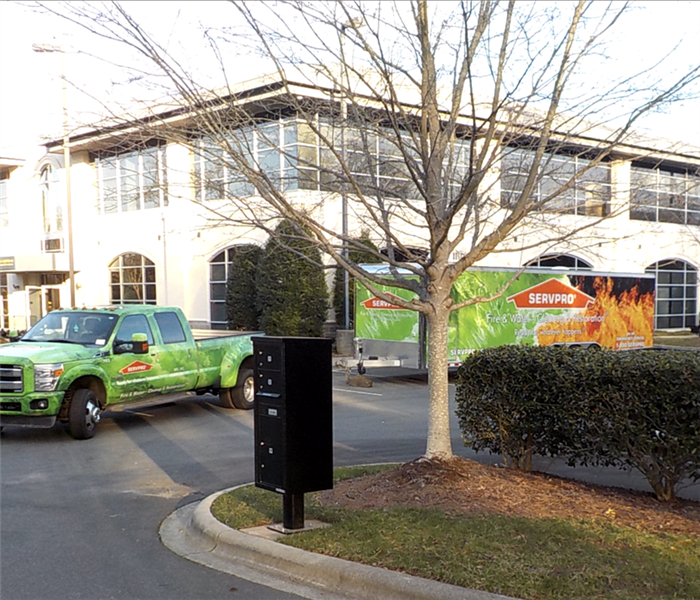 SERVPRO of West Mecklenburg County uses state-of-the-art equipment for fire cleanup. These machines use ultrasonic waves to remove even the smallest amounts of soot and odor from objects that can be submerged. It does a fantastic job getting items cleaned. 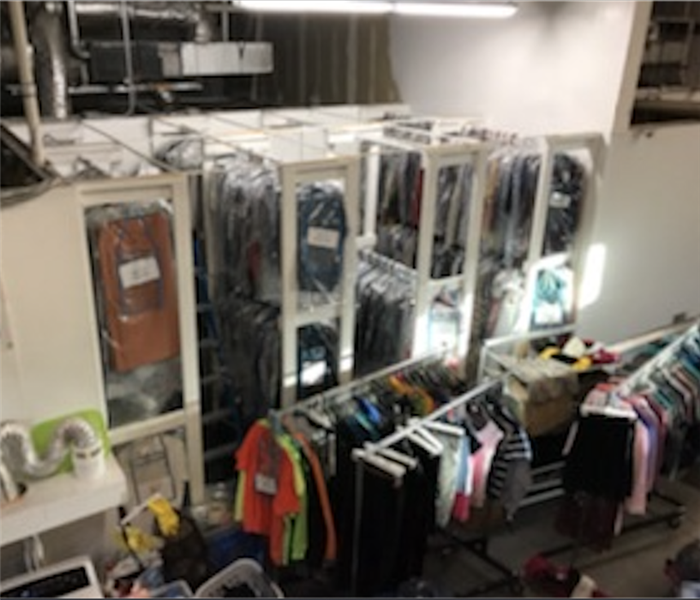 When your clothes have been in a fire, the smoke odor needs to be removed by professionals. Some items will have set in odors if washed incorrectly. 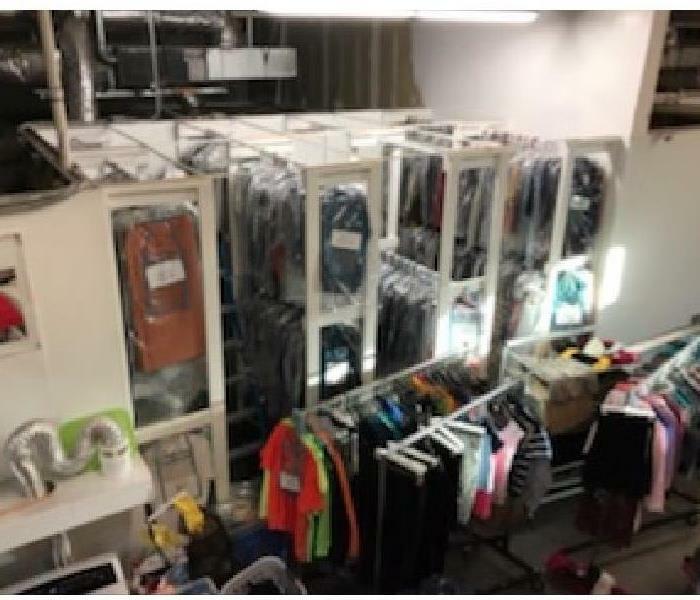 SERVPRO of West Mecklenburg County uses the right solutions and equipment to remove odors from clothes. What do I do if I lose Power? If the power is out in your building SERVPRO of West Mecklenburg County can have it restored through portable generators. 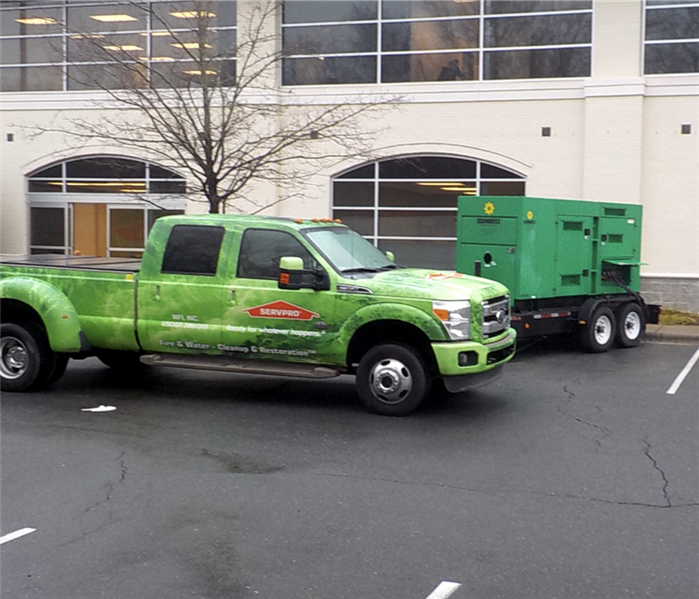 These generators can keep your company in business during the restoration and cleanup of storm and wind damage. When your home has a fire damage we can take your belongings to our facility to have it cleaned and ready to have returned to your home. Our technicians are very careful in packing away your dirty items. We clean them and have them ready for when your home is restored. 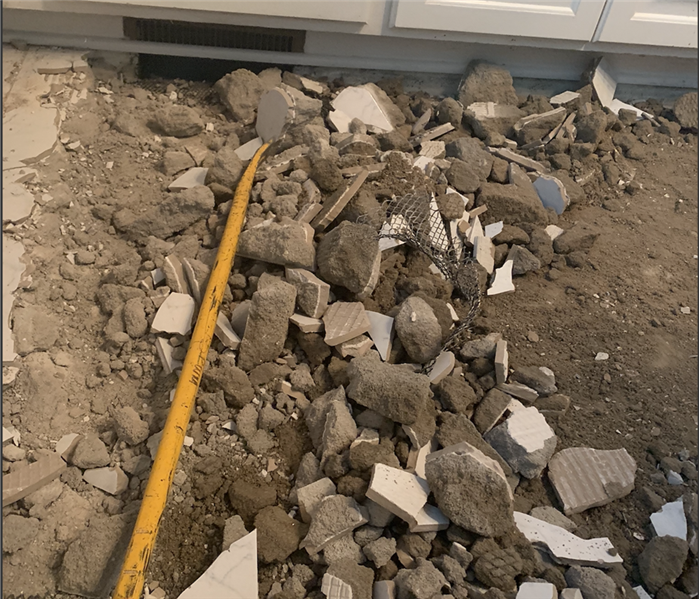 When the pipe burst in this home we needed to remove the tile and concrete flooring to get to the damage. With the pipe fixed we could start the restoration process and cleanup their damaged kitchen. How do I save my wood floors? If you have wood floors in your home, then a broken pipe and flooding may look small but it is actually really large. Water gets under the wood quickly through the slats and sides. Once underneath it takes a professional restoration company to remove the water. It is great to see the relief on a manger's face when we arrive and tell them we can help. His relief was even greater when he heard the insurance was going to take care of the bill. It's great to help those when they need it most. Water losses in a large commercial building need to be cleaned up fast to avoid further damage or secondary damage. 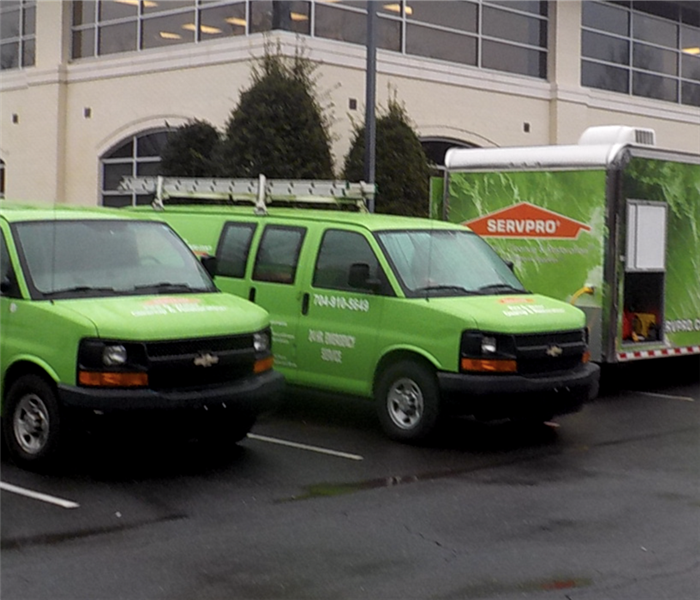 Call SERVPRO of West Mecklenburg County because we are faster to any size disaster. We can start the mitigation process as soon as we arrive. 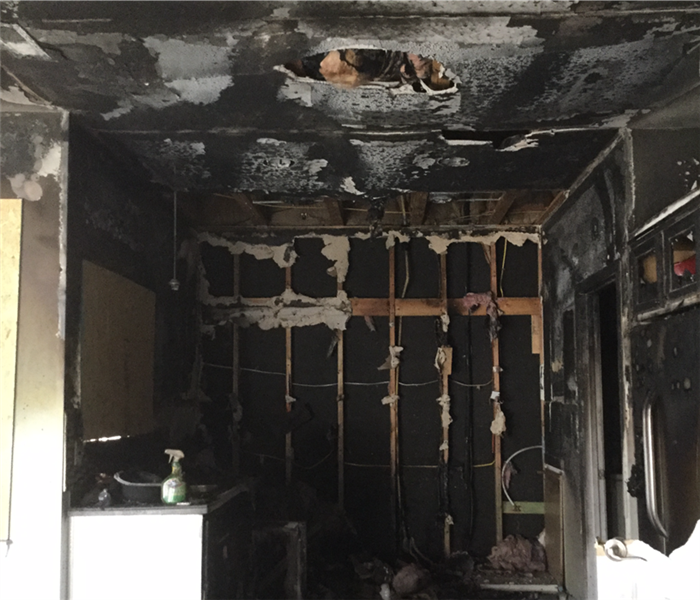 A house fire can leave your home with significant fire and smoke damage. Call the professionals during your time of need. We have the equipment and expertise to restore your property quickly and effectively. A large fire broke out leaving the business closed for multiple weeks. SERVPRO of West Mecklenburg County responded to quickly assess and begin cleaning the building. 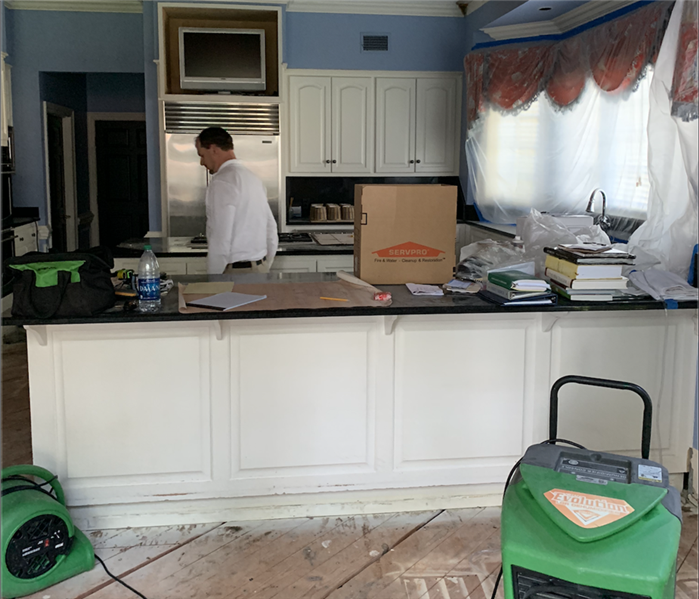 The entire kitchen was a loss, but with the help of the crews they were able to get things done and back open for business. 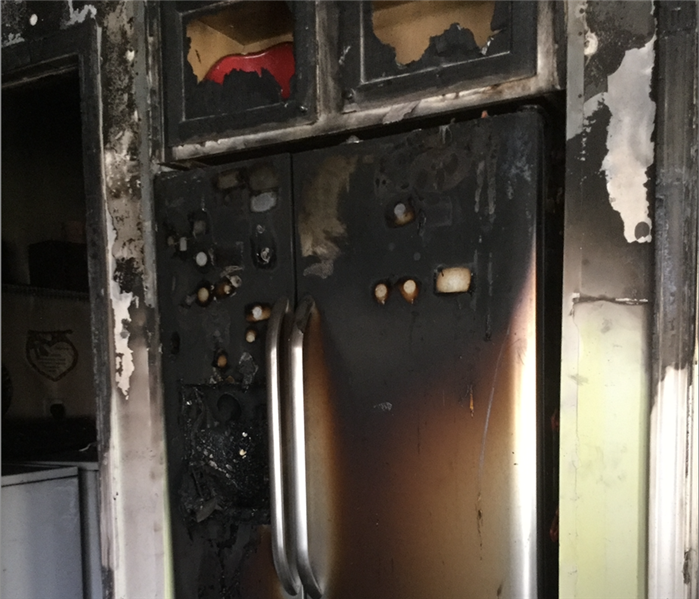 This was the aftermath of a kitchen fire. The entire kitchen was a loss. There was significant smoke and soot stains along with water damage from fire fighting efforts. SERVPRO of West Mecklenburg County responded and begin the clean up process. The aftermath of the kitchen fire left doors closed for business. SERVPRO of West Mecklenburg County quickly responded and begin the clean up process. The equipment was put in place as water damage was present from fire fighting efforts. 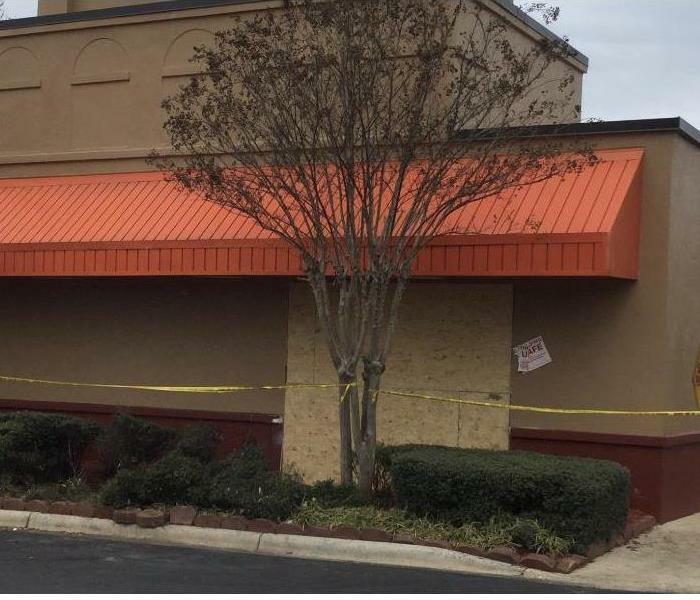 After a fire broke out in this restaurant, there was significant smoke and soot stains. The crew responded and used professional cleaning techniques and equipment to restore back to pre fire conditions. This restaurant suffered from a fire loss. SERVPRO of West Mecklenburg County responded immediately to begin clean up process. We understand every hour the doors are closed, is a loss in business. We were able to board up the area, clean and restore back to pre fire conditions. 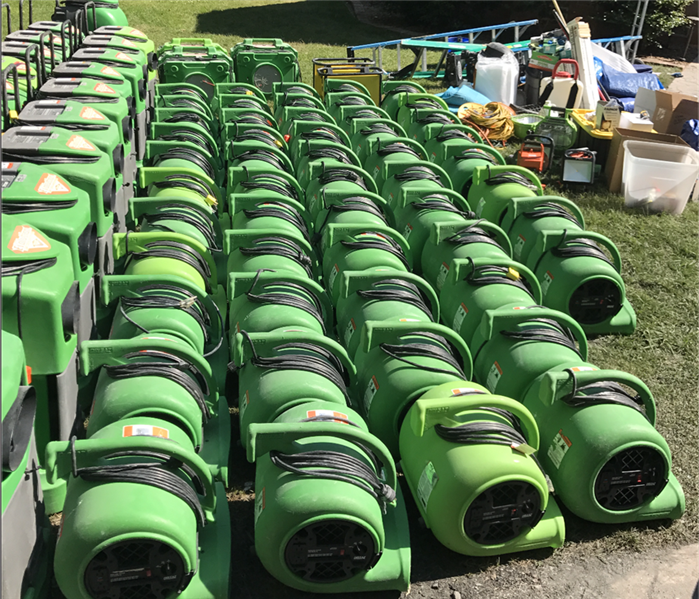 SERVPRO of West Mecklenburg County has technicians and professional drying equipment for your water or storm restoration job. 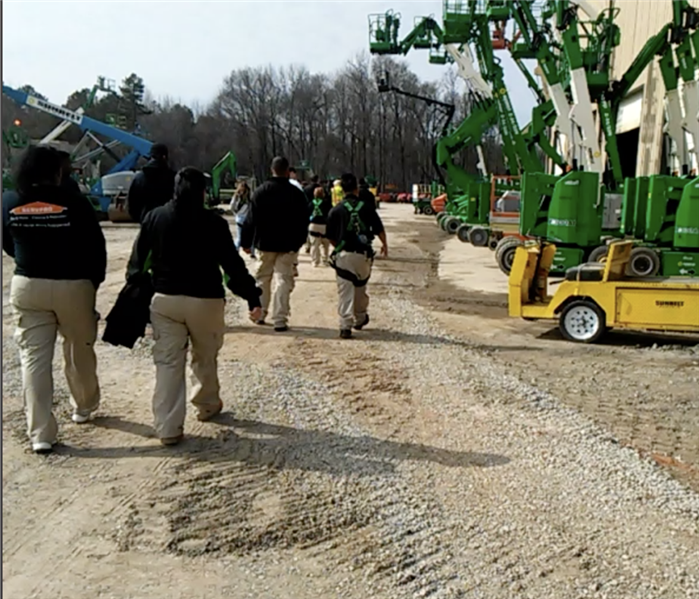 We are trained and continue ongoing training to ensure our techs have the knowledge and expertise for any size job. There was significant water standing in the halls and rooms of this commercial building. SERVPRO responded and quickly began mitigation. The debris from drywall and belongings from the offices were spreading throughout the building. This warehouse suffered from a water loss. There was significant amount of water in the floor. 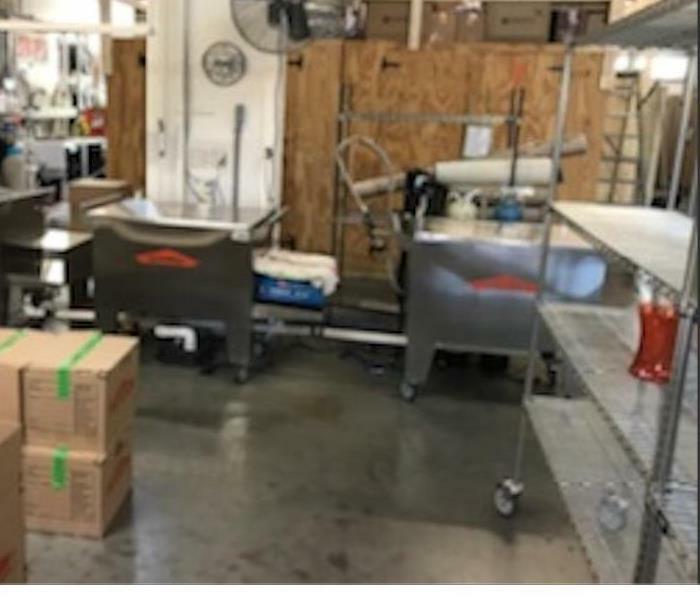 SERVPRO responded immediately and used air movers and dehumidifiers to dry the warehouse quickly. They used plastic to cover important belongings from water damage. 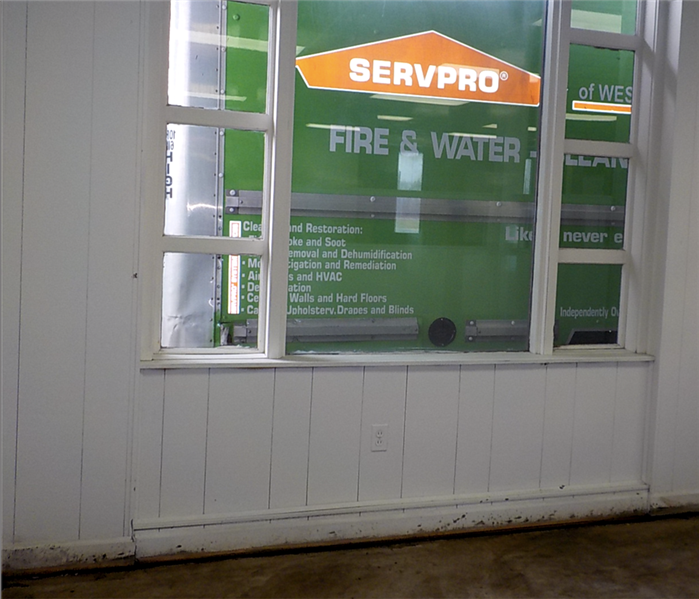 SERVPRO is ready to respond to any type of water, fire, storm, or mold restoration emergency. The team is trained with professional cleaning techniques and have professional drying and cleaning equipment. Contact us 24/7/365 for your restoration needs. After a water line break this commercial building flooded causing significant water damage. The floors were covered in water and debris. The team at SERVPRO responded immediately and began mitigation. They were able to remove the water and dry the floor quickly. This was a lightning struck and the result of the fire in Charlotte when we arrived on the scene. There were significant smoke and water damage. 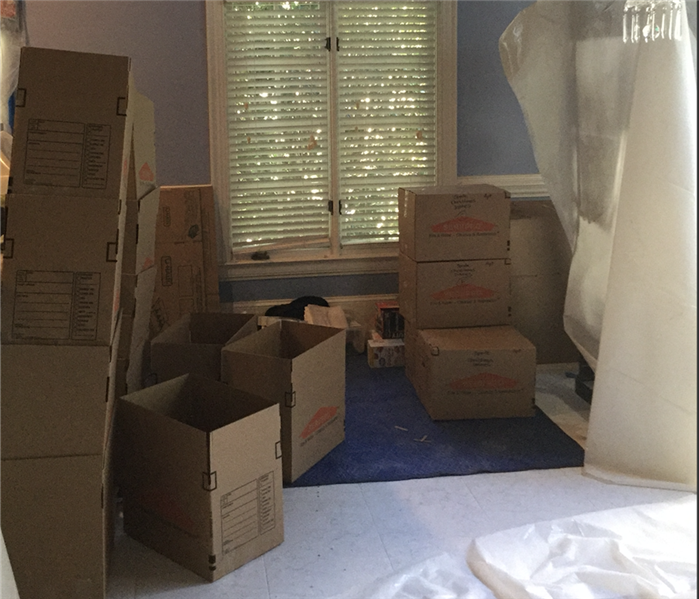 The owner couldn't believe how quickly we were able to clean-up and remove all their belonging so they contractors could start the built-back. We make disasters "Like it never even happened." 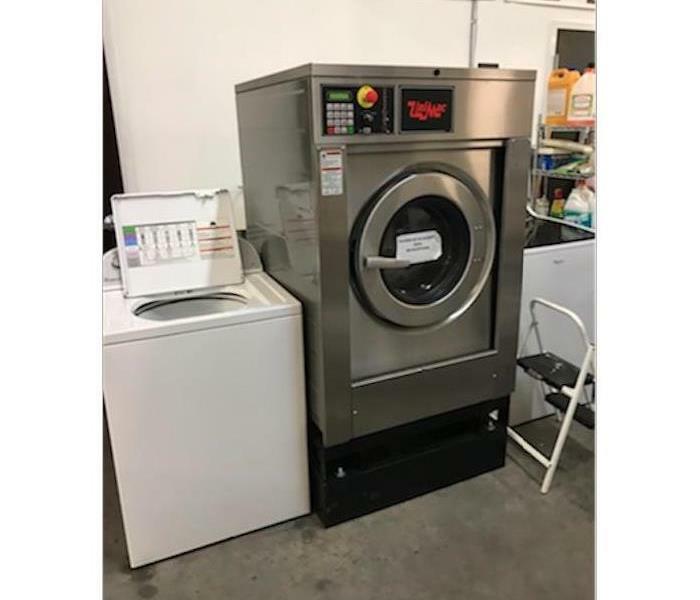 This commercial washing machine is used to clean smoke and soot stains from personal belongings after a fire. The technicians are trained on cleaning and restored this customers belongings back to pre fire conditions. SERVPRO can respond to your home after a fire. 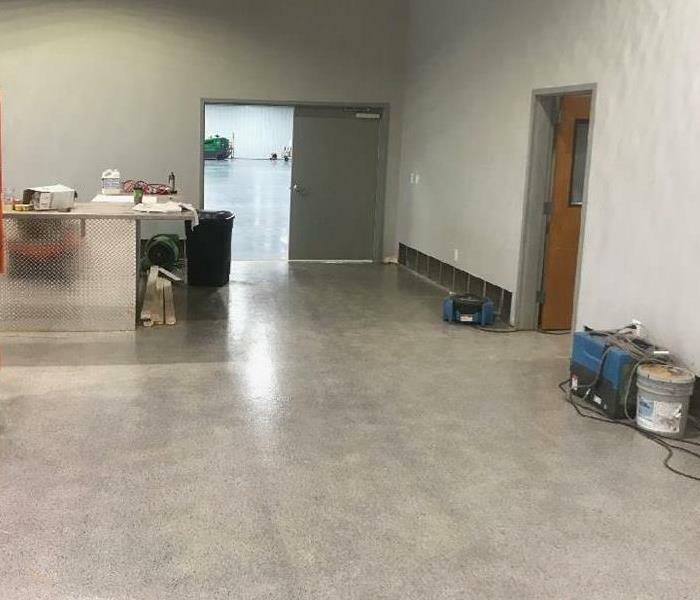 They can pack up your belongings and content and bring them back to their facility and clean them professionally removing smoke and soot stains. Our team was called to handle this water loss in Charlotte. Upon arriving we quickly began the extraction process to help get this facility dry and ready to be used again. 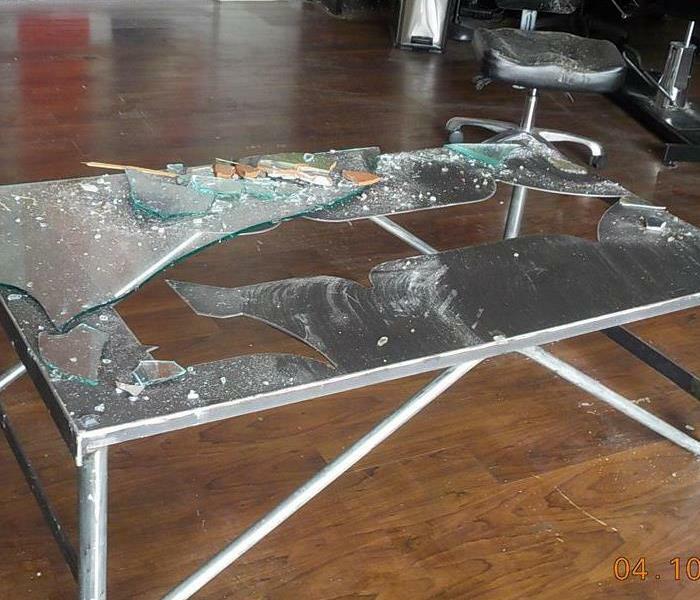 We were called to help with a tattoo shop that was vandalized. Were were able to clean and get the shop ready to be back open in no time. 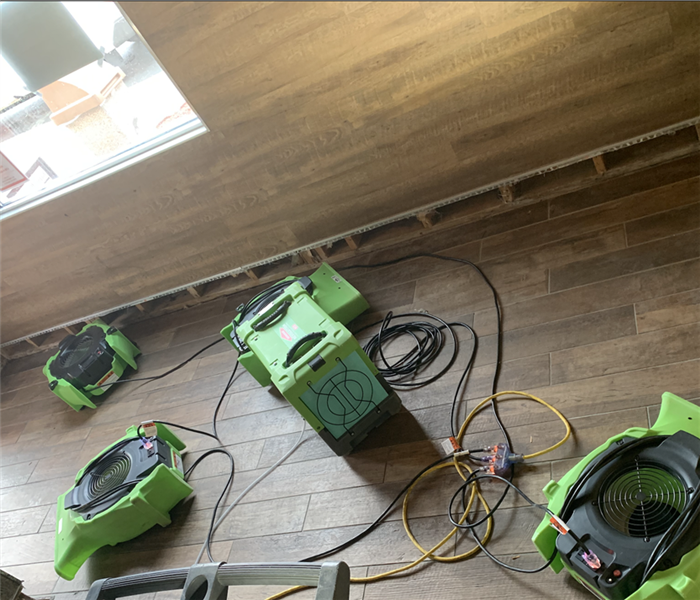 SERVPRO is quick and efficient when it comes to this kind of work.